Easter fun begins with a costume!! Easter Bunnies can be the highlight of any event, be it Park District Egg Hunt, Retail Store Promotion or a family gathering.....Easter Bunny, Peter Cotton Tail, The White Rabbit...any bunny can bring your Easter Eggs to town. Chicken Little, and any other adorable critter can add to your Easter Festivities. Passion Play....come to us for any of your production rental needs. for a day of family festivities!!! 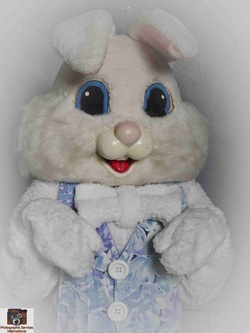 Saturday April, 16th Visit the Easter Bunny and have digital portraits sent directly to your email!! 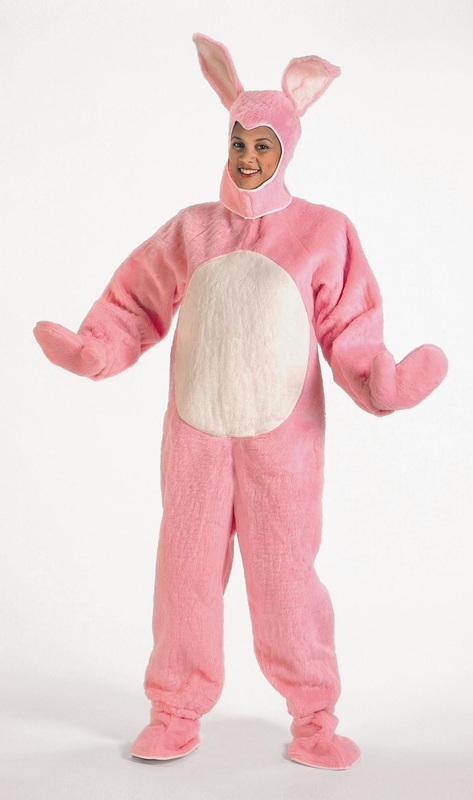 Rent Your Easter Bunny Costume for your Holiday Event. Full Parade Head Easter Bunny, with colorful vest, bow tie, and fluffy tail. Complete with hands and feet. $65.00 for a two day rental. Call to reserve yours now! Complete Biblical costumes available, as well as Roman soldiers, Angels, and other costumes for your Easter productions. 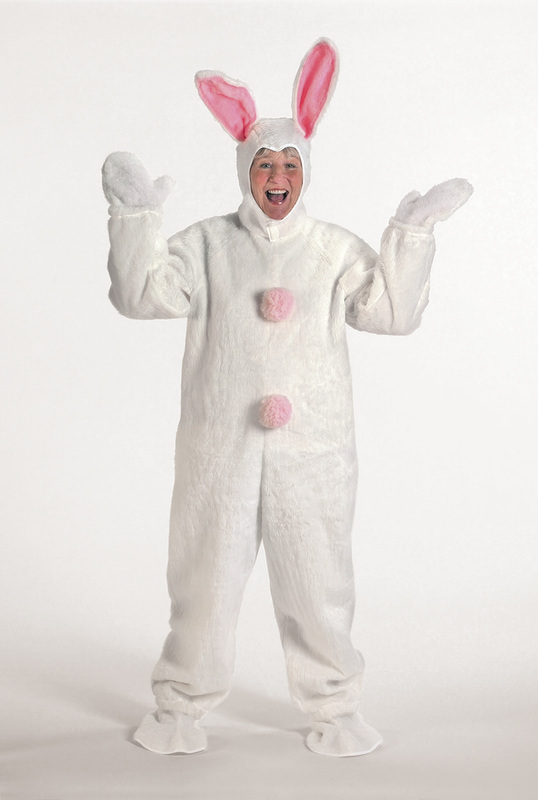 Complete costumes starting at $48.00 for a two day rental. Purchase a Rabbit of your own!! Four Choices available!! 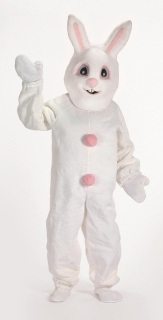 One piece suit made of white acrylic pile plush with a zipper back, two pink pom poms on the front and one for the cotton tail on the back. The open faced hood has a velcro closure under the chin and pink lined floppy ears. Price includes tax and UPS ground shipping. One piece suit made with white acrylic pile plush with a zipper back, two pink pom poms on the front and one for the cotton tail on the back. Suit includes a foam mascothead, mitts, and shoe covers. One Piece suit made of pink acrylic pile plush with a white acrylic pile plush tummy, zipper in the back and white pom-pom cotton tail. Suit includes, open faced hood, mitts, and shoe covers. One pice suit made of pink acrylic pile plush with a white acrylic pile plush tunny, zipper in the back and white pom pom cotton tail. Suit includes a foam mascot head, mitts, and shoe covers.